With legends like Joan Baez and Bonnie Raitt playing at Folk Fest this year, it’s easy to miss other fantastic, lesser-known performers. Here are some acts to put on your radar. Four-piece ensemble The Wilderness of Manitoba hails from Toronto – contrary to what their name might suggest. Consisting of Will Whitwham (vocals, guitar, piano), Amanda Balsys (vocals, violin), Wes McClintock (bass), and Sean Lancaric (drums), this Juno-nominated band emphasizes the constantly developing nature of composing music as they grow as a band. 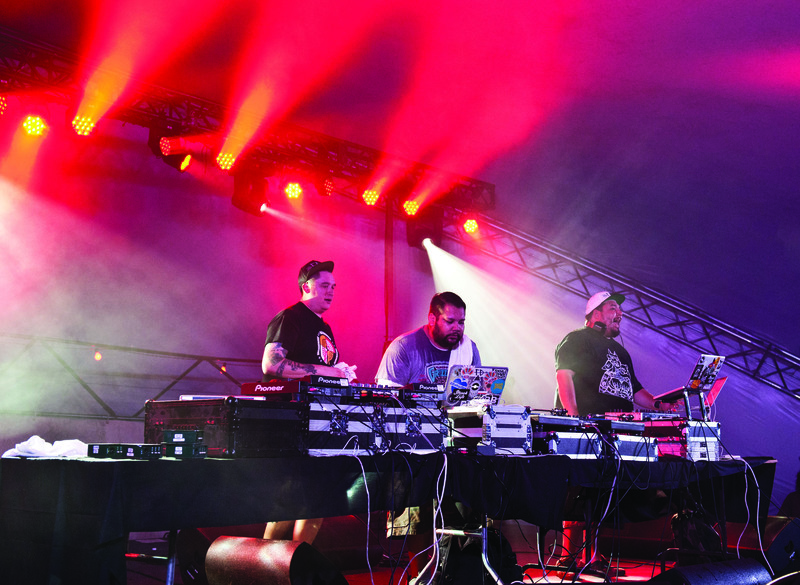 Since their first 2009 album, the band’s songs have evolved to incorporate more prominent lead vocals from Whitwham and Balsys, along with stronger percussion – particularly on their latest full-length album, Island of Echoes. The band will be infusing their Folk Fest set with songs from their upcoming album, Between Colours, which will be released mid-September. This set is a must-see for a preview of what is down the road for this band. Showtime: 3 p.m. Friday, July 11 at Green Ash. From Calgary, Alberta, Reuben and the Dark take the stage to present material from their debut album, Funeral Sky, produced by Christopher Hayden (Florence and the Machine) and Stephen Kozmeniuk (Madonna), and mixed by Jim Abbiss (Arctic Monkeys). This collection of four multi-instrumentalists and vocalists—Distance Bullock, Shea Alain, Scott Munro, and led by Reuben Bullock—provides a unique sound ranging from the fiery and driving single “Rolling Stone,” to the dark and emotive “Devil’s Time,” while exploring the very Keatsian theme of the duality between happiness and misery. Originally a solo act, this ensemble provides a fuller sound and chilling harmonies for Bullock’s powerful folk music. Backed by Arts & Crafts (who are responsible for artists such as Feist, Dan Mangan, and The Stills), Reuben and the Dark are already selling out shows; catch them before it’s too late. Showtime: 4:30 p.m. Friday, July 11 at Snowberry. This six-piece ensemble delivers an eclectic new breed of country music, often described as alternative-country. The Toronto-based group is fresh off of a Juno win for their sophomore album produced by Ryan Hadlock (The Lumineers). Simon Ward (songwriter, vocals, guitar), Dave Ritter (vocals, keys), Jon Hembrey (lead guitar), Isabel Ritchie (violin), Darryl James (bass guitar), and Jeremy Drury (drums), are sure to deliver a stellar, crowd-pumping set. 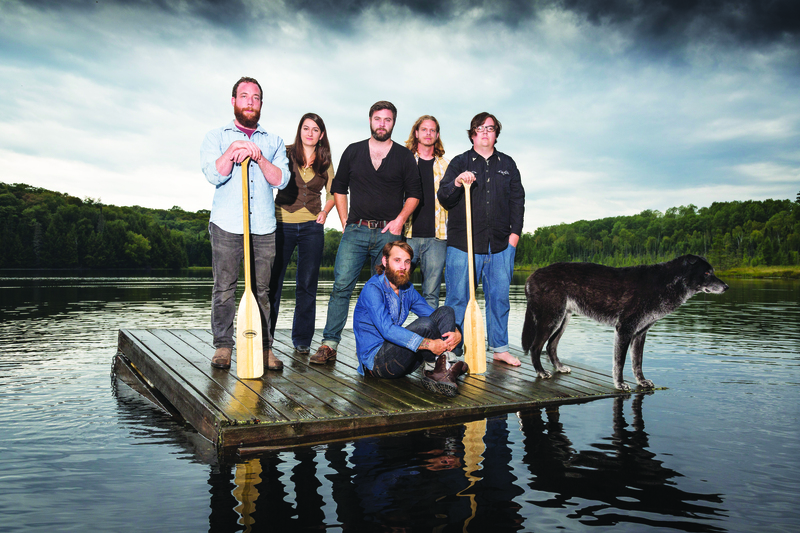 Bonus: The Strumbellas are set to play right before The Sheepdogs. Showtime: 9:30 p.m. Friday, July 11 at Big Blue. All the way from Sydney, Australia, Boy & Bear are back in Winnipeg for the second time since releasing their ARIA-chart-topping album Harlequin Dream. Armed with a killer sense of humour, these Aussies keep a witty banter going between songs while delivering a fantastic set that sounds as good, if not better, than their studio recordings. If you like their show, they will be back in Winnipeg on Oct. 23 to perform at the Garrick Centre along with Bahamas and Reuben and the Dark. Showtime: 9:30 p.m. Sunday, July 13 on Big Blue.